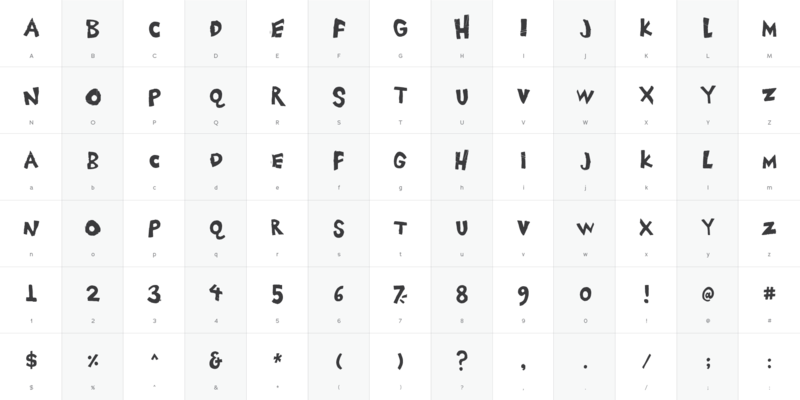 Chester Drawers - Chank Fonts! 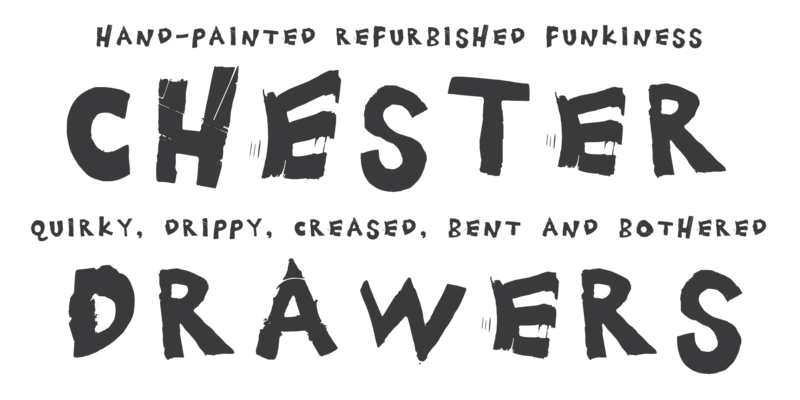 Chester Drawers is a hand-painted font made on a whim. Normally I like to keep my painting and my fontmaking separate activities; but this time around I decided to mix ’em together a bit. A light-hearted alphabet was playfully painted on a chest of drawers. Then I photographed and fontified it. The result is a quirky, drippy, creased, bent and bothered new font for you. Chester Drawers is here to add some refurbished funkiness to your most offbeat design needs. Enjoy!